Search Inside Yourself could conceivably change your life. That’s no hyperbole. Based on a course developed at Google (get the title? ), the book explains mindfulness meditation and attention training in a scientific way without resorting to any of the woo that tends to lurk at the edges of books on meditation. The book covers the basics of Vipassana meditation as well as techniques and exercises to help improve self-awareness and mindfulness, progressing in a logical way and with much of the focus on how mindfulness can help in the modern office. My one quibble with this impressive work is the “funny” cartoons that were little but an annoyance. It would be nice if they released an edition without them. But it’s a small quibble. 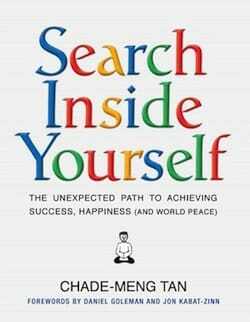 Search Inside Yourself is highly, highly recommended. Get it. I bought The Information Diet even though it seemed kind of obvious. Spend less time consuming crap, duh. But it turns out to be a sophisticated and well-argued framework for how to deal with the sheer amount of stuff that wants us to consume it. In the highest praise possible for a work like this, it’s making me re-evaluate my information consumption habits and I think I’m better off for it. As the title implies, Redshirts is about the low life expectancy of the people who beam down to the unknown planet with the bridge personnel who take part in away missions for no reason in shows like Star Trek, which of course is the kind of thing anybody who’s ever watched Star Trek has wondered about. But Scalzi didn’t just wonder, he went ahead and wrote a novel about it. Surprisingly for such a goofy concept, it’s very good. What Scalzi has done in Redshirts is to completely commit to the concept and take it seriously indeed. In doing so, Scalzi manages to drag the reader along and do some pretty impressive hand waving to make things make a semblance of sense, but in the end, yes, it is a very silly conceit. But don’t let that keep you away from the novel. It’s a lot of fun and packs serious emotional resonance, especially the three codas at the end, which, well, let’s just say you’d have to be wired completely wrong to not get something in your eye. In the end, Redshirts is really a master class on story and how to write characters with dignity. It’s impressive. A mind-bending debut novel, The Gone-Away World features Armageddon, ninjas, special forces, an Evil Genius and, well, pretty much anything else you can think of, including some truly surprising plot twists. Imagine a mixture of Neal Stephenson, Kurt Vonnegut and Robert Ludlum with more than a dash of Pynchon and all of it very, very British and very humanistic and you have an idea of this novel. The plot defies categorization and summarization, but just think of it as a big ball of weird energy, which, coupled with Harkaway’s tendency to use really big words, makes The Gone Away World obsessively engrossing. Your Kindle’s dictionary function will get a workout from this novel. Note, though, that the beginning is weak, throwing you into a strange situation without enough background to really understand what the heck is going on or to care. But power through that and the novel kicks into gear and doesn’t let up. Brings to mind the classic sic-fi of the cold war with a clear, strong plot, uncomplicated characters and a shivering, paranoid world view. Wool takes place in an underground silo where the last remains of humanity are attempting to survive the aftermath of an apocalypse which has left the aboveground uninhabitable. But everything isn’t what it seems. 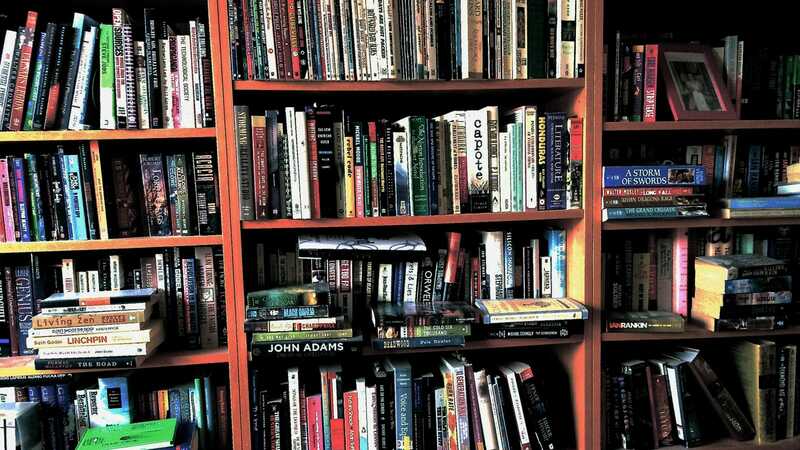 According to the book’s Amazon page, it started out as a haunting short story, which is now the first book, and after its success Howey added more installments. The Omnibus Edition wraps them up into a “normal” length novel. I stayed up way too late to find out what was going to happen next. Also a self-published steal at $5.99. Recommended. Very good space opera that takes place in the “middle future” where humanity has conquered the solar system and stands ready to begin to move outside it by hook and leaky space suit when an alien presence throws a spanner in the works. The novel follows two main protagonists, a Buck Rogers-like do-gooder ship captain and a dark, obsessive detective. Both men start out straight out of central casting but are progressively fleshed out into interesting characters. There’s also a strong cast of supporting characters. Leviathan Wakes mixes gritty space opera and noir detective story into something far greater than the sum of its parts and is full of nice little details that help animate the impressive world building. Can’t wait to read the next installment in the series, Caliban’s War. Good dark fantasy that’s hard to put down once you get over the sociopathic protagonist—very hard to like at first, but who really does grow on you as you discover his backstory. Prince of Thorns is for the dark fantasy connoisseur.